The only reason I haven't logged on lately is because I've been busy with some of my other fandoms (Jurassic Park/World and Independence Day, mostly). Since I'm not that into Thorin anymore, I thought it was about time I dropped him as a husband (Marida might be tiring of him and his constant feud with Thranduil, to the point where she just can't take it anymore). Instead of changing my username, I thought it would be easier just to change Marida's character around a bit to make her partly human, which would explain her friendliness towards Elves and her reluctance to leave Isla Nublar. This means I'll have to update Marida's look, since you can't dress in layers on a tropical island, you'll cook (well, not literally, but you'd be very hot). I'll probably be doing this on Hero Machine 2.5, since they give you more options. 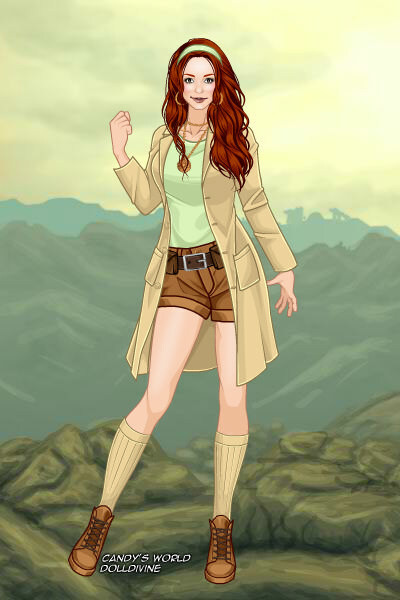 You'll know me as Island Queen, which is the same username I have on Ao3 (which is short for Archive of Our Own). Unlike JPL, you can view this forum without being a member (since the only thing that doesn't show up is your signature). Last edited by Marida on April 17th, 2018, 6:13 pm, edited 1 time in total. Yeah, things seem to be shutting down for forums in some ways. It sux. As you can see by the comparison, she's still a little on the small side (just a little taller), but looks a little more human (since I had to change her character around a bit, for reasons I already stated), and the only reason that she's not wearing shoes is because the game (called the Four Elements; I made Marida's in the Earth element, even though I was born under the element of Fire) didn't have that option, since you can't go barefoot on a tropical island, especially if said island is populated by cloned dinosaurs (who knows what you'll end up stepping in). Last edited by Marida on July 2nd, 2017, 10:57 pm, edited 1 time in total. Looks like she has gone through quite the makeover, though! I haven't been online much because of family issues, and I just don't have the energy to come online. That is so cool, Marida! I was surprised to see you've changed spouses! I must admit, I like her new form much better than her dwarven one. I've been more into other fandoms as well. The game The Last of Us. I'm actually writing a fanfiction about it. I got that game Final Fantasy XIII. It is such an infuriating game, but I'm starting to love it. I admit, I have started to wonder what Lónannûniel would be like in other fandoms, but I don't think I could just change her completely. Perhaps I'd have to pull a Once Upon A Time, and make her be the same person, but different names and lives in each "world" or something. Sorry to hear about your life issues.... I know all too well how that goes. I took a near 1 year break here recently due to that and still have days I don't get on due to that same lingering issue. How's the family tree going? Any new marriages/divources, etc? How is everyone in general? 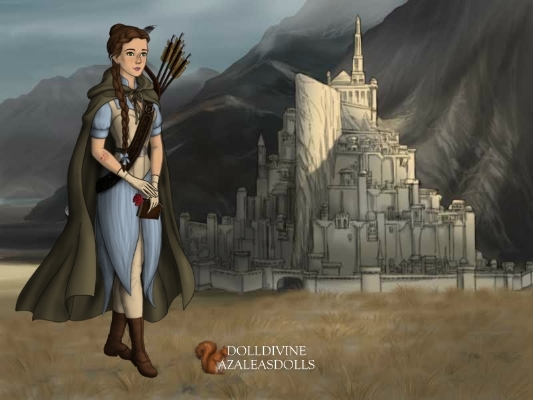 This is Talina, a character I originally created for the LotR Fanatics Plaza when I was still in Erebor in Wilderland. 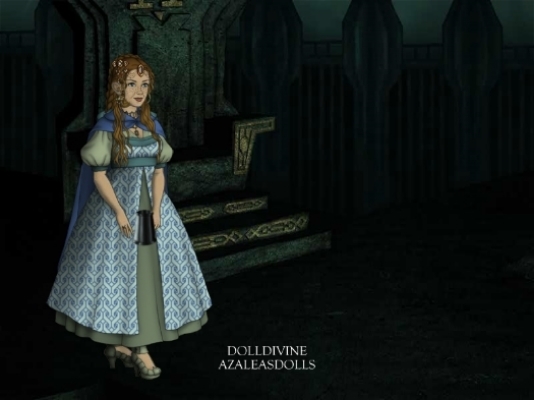 When I moved back to the Shadowed Lands, I had to change around her character a bit and made her a human based in Ithilien instead of a dwarf of Erebor. As you can see by the drawing, she's "one of them Rangers" as Butterbur puts it in FotR, so I added a battle scar on her arm. Since Talina's now a Ranger, I chose an outfit that would be easier for her to fight in (no use tripping in one of those long dresses). Last edited by Marida on July 2nd, 2017, 10:59 pm, edited 2 times in total. That character looks pretty cool Marida! Would love to read the back story! I have an account on LOTR Plaza, and visit semi regularly. Never got into RP there though. I thinknI had signed up for that site once upon a time... but i would have no idea what the login info was. I never did spend a lot of time there I guess. 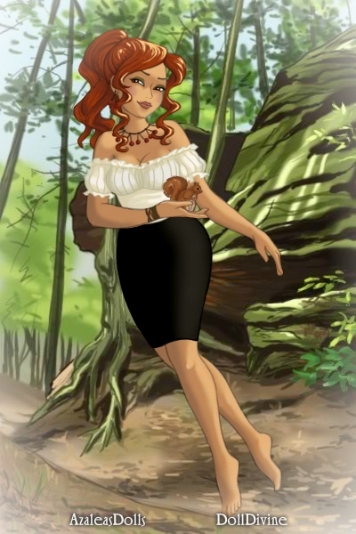 Made on Doll Divine (I told you that site was addicting) with the X-Girl game, and she's wearing shoes in this one (the only reason she wasn't in the last one is because that particular dress up game didn't have that option). I try to choose games where the characters have the same proportions, since then it looks like it might be the same person, but changed. That background does look a little volcanic, don't you think (too bad I couldn't add Blue, since then it would really bring that scene to life)? And it looks like Marida has let her hair down again (probably because she didn't have time to put it up, so she threw on a headband instead).